Here is our provisional reading schedule for 2018/2019. Please bear in mind that changes may occur depending on events and other commitments. If you would like to take part in our sessions or add your comments to our collective annotated documents, please contact us. Our readings will be directly connected with our forthcoming conference Performing Translation: Translatorship in the 21st Century, and will thus be related to Translation, Communication, and Performance from different perspectives. Bhabha, Homi (2007) ‘How Newness Enters the World: Postmodern Space, Postcolonial Time and the Trials of Cultural Translation’, in The Location of Culture (pp. 212-235). London: Routledge. Berman, Sandra (2014) ‘Performing Translation’, in Sandra Berman and Catherine Porter (eds. ), A Companion to Translation Studies (pp. 285-297). Malden, MA: Wiley Blackwell. Benshalom, Yotan (2014) ‘Performing Translation’, in James St Andre (ed. ), Thinking through Translation with Metaphors (pp. 47-75). Kershaw, Angela and Gabriela Saldanha (2013) ‘Introduction: Global Landscapes of Translation’, in Angela Kershaw and Gabriela Saldanha (eds) Translation in Globalized Literary Landscapes, special issue of Translation Studies 6(2): 135-149. Hubscher-Davidson, Séverine (2013). Emotional Intelligence and Translation Studies: a New Bridge. Meta: Translators’ Journal, 58(2) pp. 324–346. You can join in our conversations from anywhere in the world. 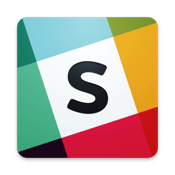 Have a look at our post on how we use Slack.